For an extra touch of luxury our Lexus LS460 adorned with traditional white silk ribbons and floral arrangement on the rear parcel shelf is perfect for your special day. 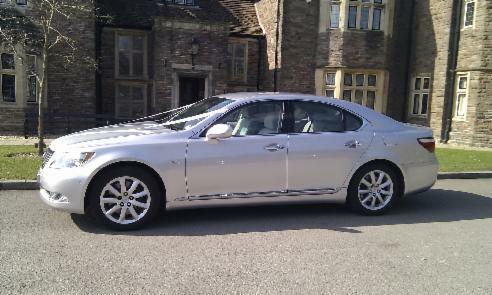 We will ensure that the bride arrives at the wedding venue both in style and comfort. The wedding car can remain at the venue to be available for onward travel to your reception after the wedding service should you wish. Let us know your exact requirements and we will do everything we can to meet the transport needs for your big day.